Happy Grey Thursday! 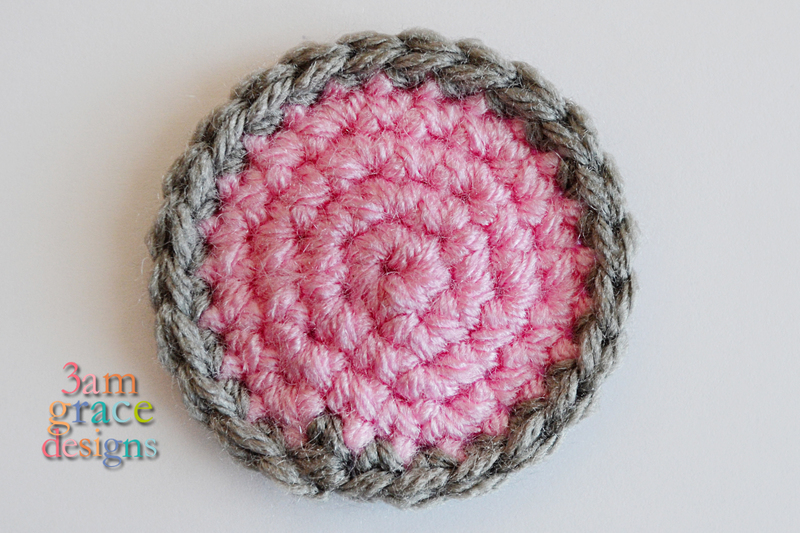 Welcome to Week 2 of our Crochet-along! Throughout Grey’s Anatomy, we saw several different stethoscope colors: black, blue, purple, pink. 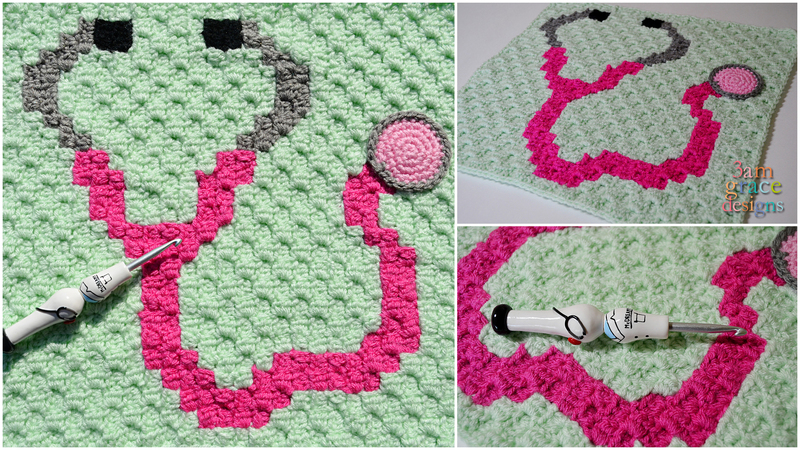 We chose pink and added an applique to give dimension to the stethoscope bell. 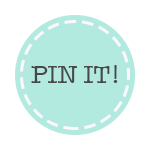 Download the Stethoscope written instructions. Fasten off, weave in ends leaving a long tail to sew on the panel. 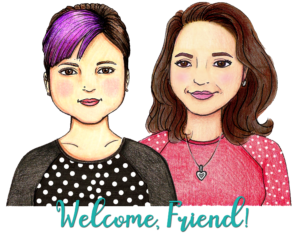 The talented Angie Jack with Harper Baby Shop has three Grey’s Anatomy inspired crochet hooks designed if you’d like to crochet your project in Grey’s Style! 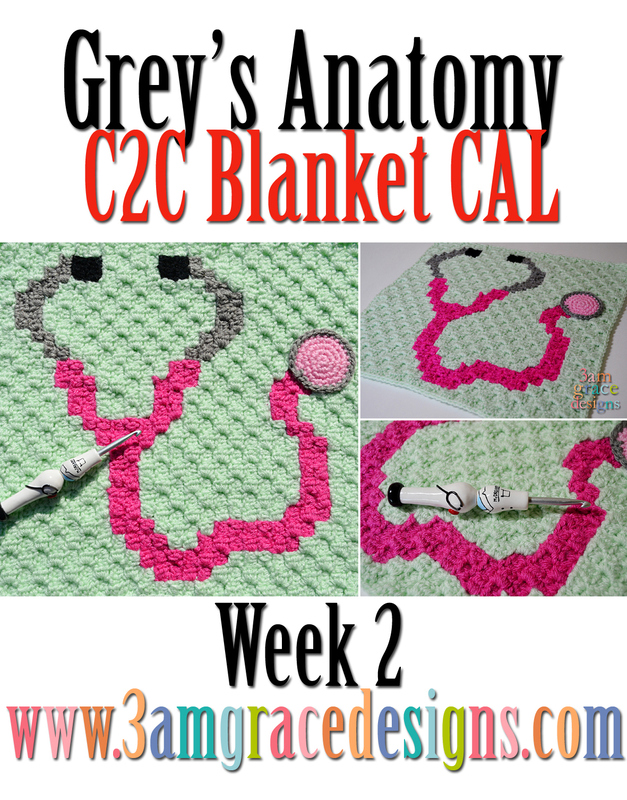 Be sure to check out Grey’s Anatomy C2C CAL – Week 1 of our CAL if you missed it! Would like to know how you do your c2c greys anatomy and what size the overallblanket is likely to be please….is it dc and 6 chain or can I do modified c2c and still get a reasonable size? Hi Kat! We do Mini C2C, which is Ch5 and 3HDC. While we’ve tested different panels to prepare, neither of us have finished the entire blanket yet to know the exact size. Our best guess is it should fit a twin size bed.